Can you supply new equipment or parts for upgrades? Software and Hardware Installation Services. Our Hardware and Software Installation Service seeks to make you life simple by coming to you and installing new parts or accessories you may have purchased. Install or upgrade one single piece of software or hardware on one PC. Fully test the operation of the new installation or upgrade. Supplying any hardware or software required for the installation or upgrade. Any additional supplies require such as, USB cables for printers, ink, video cables, etc. Networking any shared devices, such as printers. 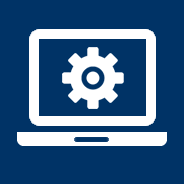 Desktop or Laptop Computer – we can set up your new computer so you have the right configuration from the start. We can even migrate your data from an older computer. Printers – Inkjet or laser printers as well as all-in-one printers (fax/scanner/printer). We can even network your printer for everyone to share. External Hard Drives – extra storage capacity for your music, videos and photos. You may want to look at a Network Storage Server. Web Cameras – to talk to those overseas relatives or just for a bit of fun. Wireless Network Equipment – for linking everyone in the house to shared media and the Internet. We offer a home networking service that covers broadband setup and secure wireless networking. And we are not just limited to this. Why not connect your Computer to your television? Our Media and Entertainment services give you the opportunity to really make the most of your home systems. Bill Gate famously said that “640k ought to be enough for anybody” but nowadays that’s not even enough space for a reasonable photograph. Memory upgrade – this is the best upgrade to boost the performance of your computer. Hard Drive upgrade – if you are running out of space on your computer we can upgrade your hard drive “without” the need to install the system and reload all your programs and data saving you time and money. DVD writers and Bluray – you can extend the useful life of your Computer by adding a DVD Rom drive or a Bluray drive and start watching hi-definition movies. Graphics Card – a graphics card is not just usfeul for boosting the performance of your computer for games, but day-to-day operations become much faster. Firewire Card – firewire card enables you to connect devices that require fast access, like a video camera. Whatever you need upgrading we can help so feel free to call us or email us for more advice. Any upgrade is the quickest and most cost effective way to get more from you computer. Yes. We will talk you through the various options and make suggestions for purchases to meet your needs. We can also source the equipment saving you the time. Price is an important consideration and it is ALWAYS our intention to obtain the lowest price possible, but we are keen to offer the best service. We have been let down too often by suppliers offering lower cost at the expense of late deliveries and poor after sales service. We understand that if you want the product in 2 days then we shall get it in 2 days and sometimes we pay a little bit extra for a reliable service. If we do provide a quotation and you subsequently find it cheaper elsewhere then we have no problems with you getting the kit and then calling us to install it. This service is here to help you install equipment but in some instances the shop or website you purchased your equipment from may not have provided all the necessary extras required. For instance, when buying a printer, it is very rare that the manufacturer includes a cable to connect it to your computer. We always carry spare cables to cover this type of shortfall but do charge for it as it would be an extra to our normal pricing policy.